The best and most overlooked aspect about decorating small spaces is that a few changes could literally have a huge impact on the interior. 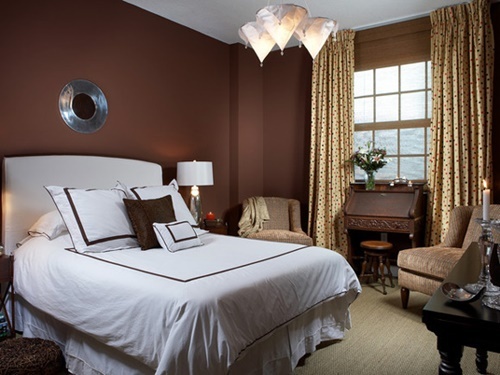 You could turn a cold unwelcoming bedroom into a warm cozy retreat by changing its color scheme. 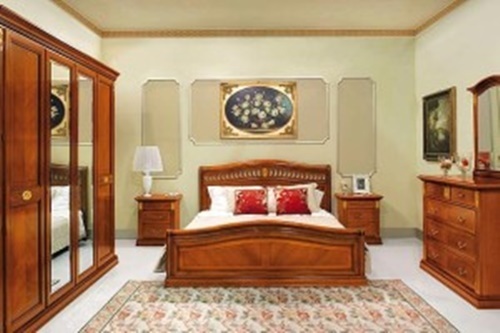 You could transform a cramped space into an open breezy one by getting your furniture arrangement right. Read on and know some designer tricks that help enhance your small master bedroom’s beauty and grace. There are endless combinations of colors that create an illusion of volume, but even the way you decide to mix them together could alter the atmosphere. 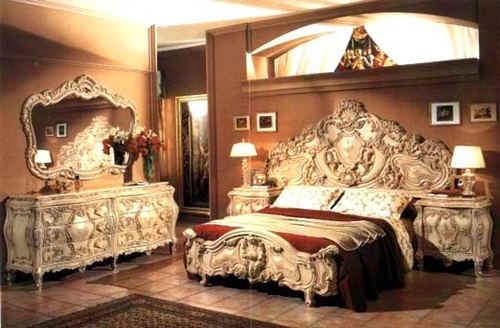 One of the most famous color schemes known to make any bedroom look bigger is the monochromatic one. It eliminates shadow lines especially if the same color is also applied on the ceiling. 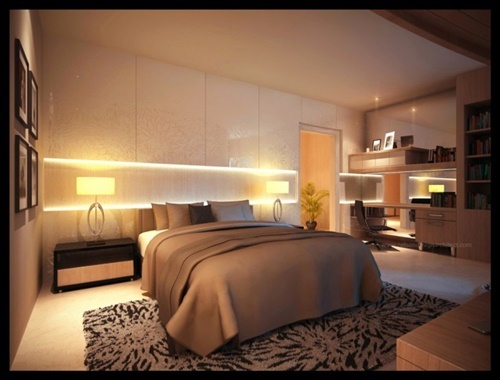 However, a monochrome bedroom might look a little stark and severe and that’s when texture step in to prevent monotony. 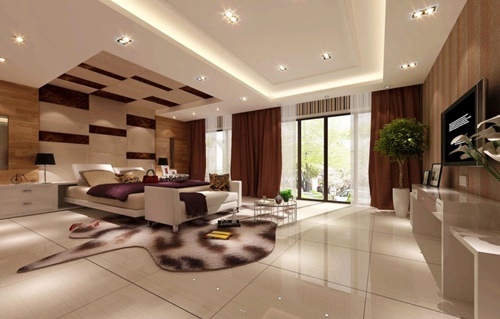 Also, cool colors such as stone gray, lavender, and steel blue have the ability to make your walls seem receding. If you have a favorite dark color that you’d like to add, try confining it to accessories or a minimum of furniture pieces. Use pendant lights instead of chandeliers as they add statuary detail while providing the required lighting. 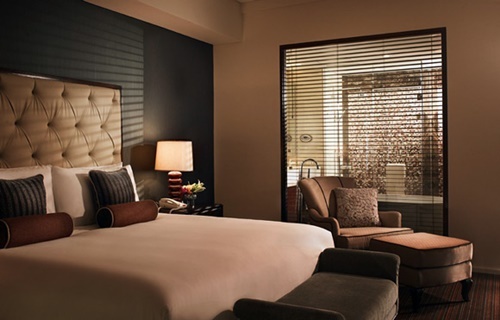 Also widen your bedroom window and beautify it with sheer panels along with a gauzy canopy over your bed. 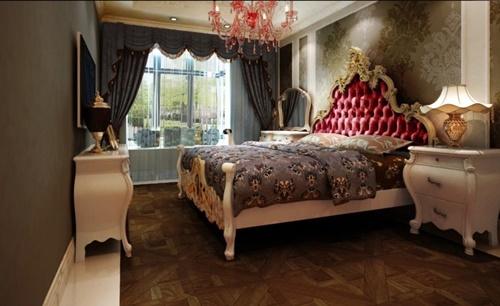 You can brighten up your bedroom even more by using a modular carpet tile on the floor. 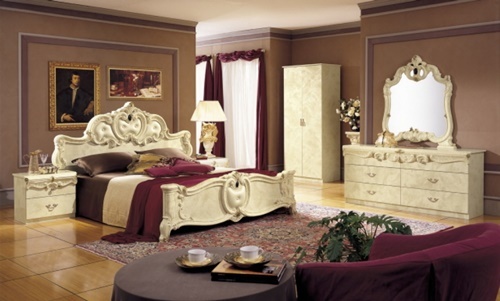 Invest in tall furniture pieces to emphasize your bedroom’s height such as a tall bookshelf and full-length mirror. 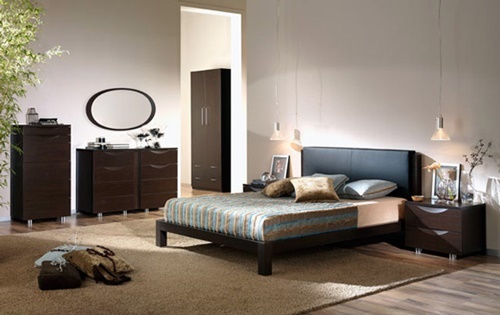 Also a bed that comes with storage space underneath is ideal as the most important step to maximize a room is to clear out its clutter and exclude any bulky pieces. 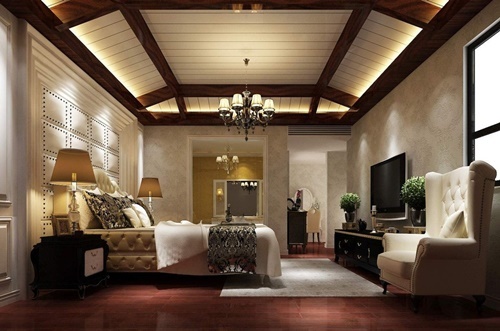 Make sure you’re utilizing your master bedroom’s corners, sloped walls, and dormer ceiling to their full potentials. For instance, place an ottoman with suited floor cushions in one corner as a reading nook. 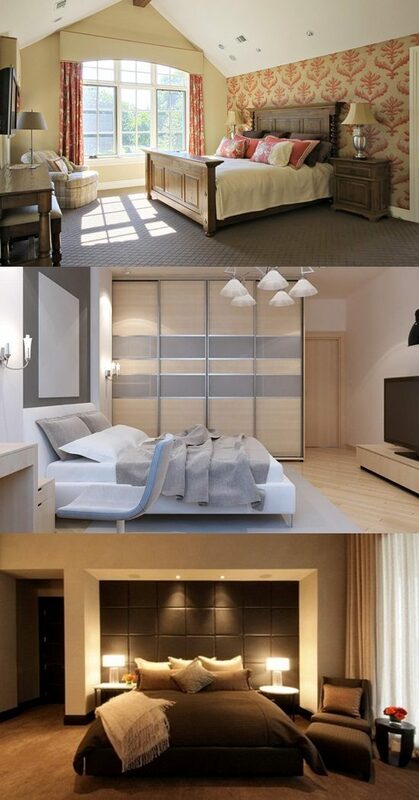 Also built-in shelving would make huge difference to both your room’s beauty and its practical purposes, inspired yet?